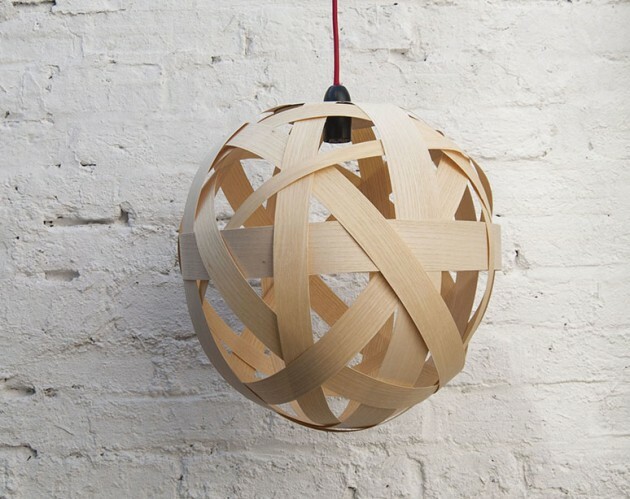 A handmade lampshade made from beautiful thin cherry or ash wood. 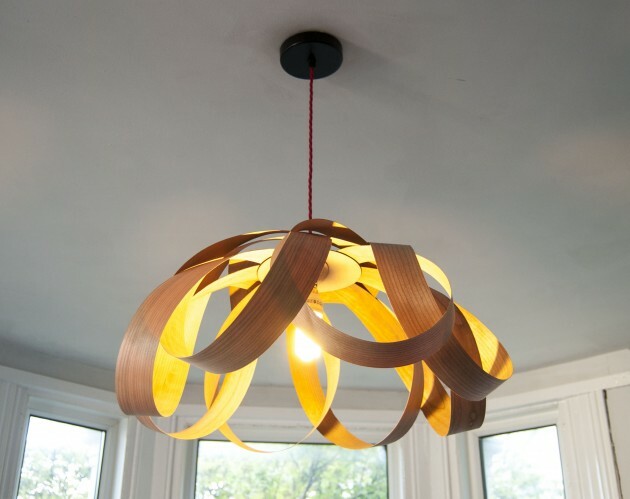 Cherry wood is a stunning material that gives the light a warm colour and glow as it shines through illuminating the grain. Ash is a beautiful, cooler, almost white grain that filters the light turning it golden. Perfect for over a dining room table, or a kitchen, it creates a unique focal point and casts beautiful, intricate shadows on walls and ceilings. All of Randomlights designs are inspired by Scaninavian designs from both past mid century classics and present modern designs. They follow the same ethos of mimimalism, functionality with beautiful aesthetics guided by shapes in nature. They fit well into any home with a flare for design, whether it is modern or retro. Our products are widely available in cherry and ash wood veneer, and can be altered in size to fit your space. 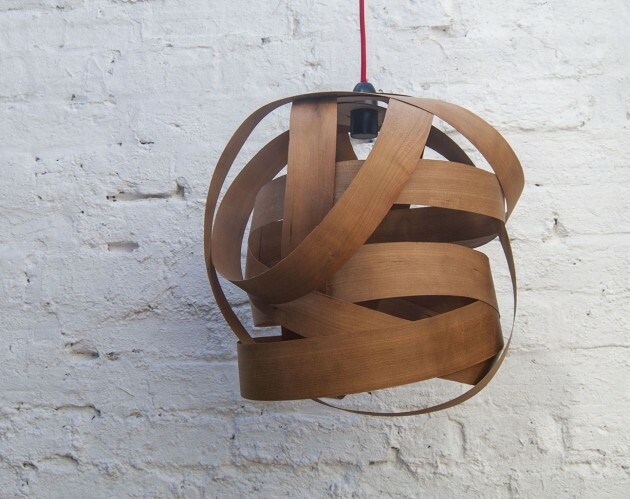 We stock walnut, teak and oak wood for bespoke orders. Please feel free contact us for more details. 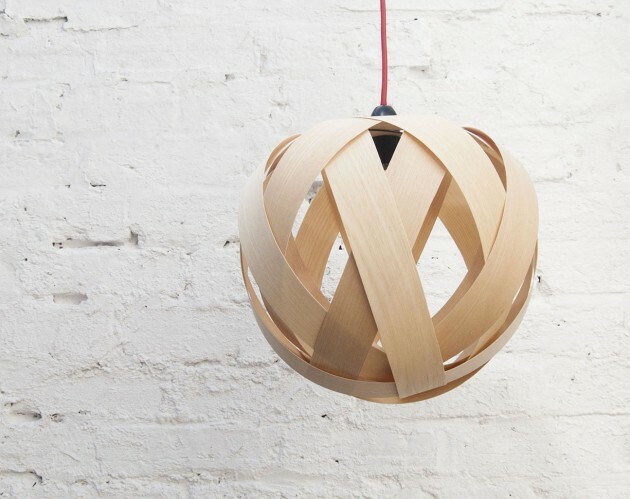 Made from cherry or ash wood from an FSC & PEFC regulated source and treated with Osmo oil for an invisible, hardwearing finish, leaving the wood with its natural colour and beautiful grain. This lampshade does not include a lightfixture, this is a lampshade only. 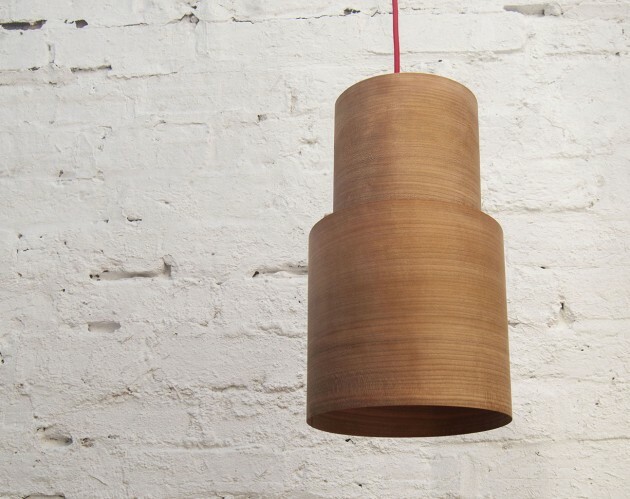 Our lampshades are designed with an easy ‘lift in’ attachment that fit any standard UK bayonet cap, and E27 ceiling lamp holders. If you would like to include an electrical fitting, please see separate listing, or get in touch. Please use energy saving lightbulbs only with this product.